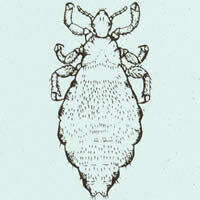 HEAD LICE: COMING YOUR WAY! 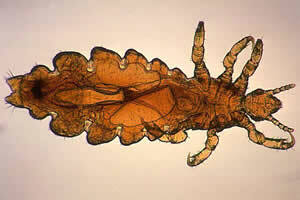 And if you are in foster care very long, you will undoubtedly face them: LICE. Human head lice. What are they? Really well adapted little six-legged insects. They feed on human blood. The female lays her eggs on the hair shaft close to the scalp and as the hair grows the eggs get farther up the shaft. Kids are more likely to have them than adults, and Caucasians more than other races. They are not the result of a lack of hygiene. Still, they carry a stigma. Schools send kids home when it is discovered they are infested (though it had not been proven that this is a successful way to keep lice from spreading.) But most head lice reported by teachers and school officials turn out to be something else—hairspray, dandruff, etc. Lice can’t fly or jump. They can’t burrow into your scalp. They spread from head-to-head contact or from sharing combs or hair ornaments or hats. Kids can get them from infested bedding. (though lice don’t live more than a few days in room temperature without blood.) And a child infested with them probably has no more than a dozen viable lice on his head—but he may have upwards of a hundred eggs. Still, when your child has them, what do you do? Picking them off may be effective, but it is extremely time-consuming. Combing them out—especially if combined with a louse-killing shampoo—is the easiest way to rid a child of the pests. The success of the treatment depends upon how well the child will tolerate your intervention. Those little lousy combs have tiny teeth. You might try shampooing the hair first, and brushing and combing it well with regular brushes before tackling the louse comb. Then, you must be meticulous. Plan on spending several hours—maybe over several days—until the head has been louse free for several days. A hair dryer might kill the lice through its heat. You still must remove the eggs and dead lice that cling to the hair shafts. A fool-proof method—at least for boys—is to shave the head. Head lice must have hair to live. Once the lice are gone from the child’s head, you need to make sure his bedding and toys are vermin free. A simple washing and machine drying should kill the lice. (They don’t tolerate high heat.) You might try washing toys and putting them in the freezer since lice can’t survive extreme cold either.